We have developed this framework we called the “NO MIDDLEMAN INTERVENTION” listing system that allows you to rapidly list your shipment and start getting messages from carriers directly. We also have a suite of components that allows us to instantly add features to your listing such as setting the correct and proper rate by following our quote listing barometer. No other web-based company has these components, and AAAmoveCars.com has found the solution by guiding you to the correct listing price. We ensure you that only quality carriers will contact you that have the desire of hauling your listing. The rate that you list is what you will be paying, we don’t allow hidden carrier fees and neither do we. Just a small carrier booking fee and that’s it! We are the database shipping listing experts. To date, we have successfully completed over 30 years in the shipping industry. We have an extensive experience and understand all of your needs as well as the carriers, in order to achieve a smooth shipping experience. We are encountered with shipping related experience on the daily, and with all of our combined knowledge, we pass over 100 years of experience! We are the database-driven solutions for your shipping listing needs and we ensure that no middle-man will ever contact you! Quality is a word we use often. But here, we mean it. 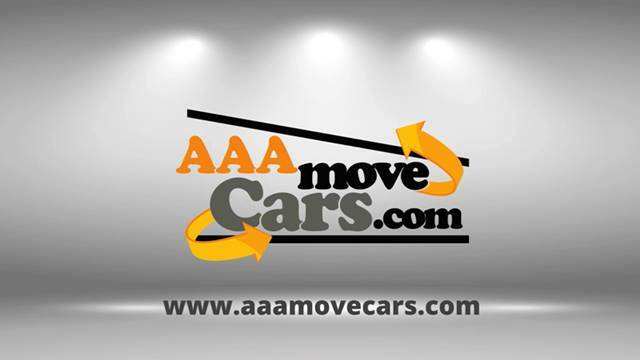 At AAAmoveCars.com, each listing, large or small, we will assign a qualified certificate carrier who is typically in the lookout for quality paid shipments. You will always have direct contact with the carrier after a full agreement with both parties has been agreed upon, using our listing system agreement. Before any carrier is accepted, the quality controller will review the application and will ensure the carriers confirms to all agreed standards. In addition, we encourage our carriers to perform at their best potential through our internal peer reviews at our weekly carrier’s review meetings. All carriers are peer-reviewed and nothing but the highest standards is accepted. We run an automated credential through the FMCSA(government agency) review software, to ensure that all carriers meet all the accepted internal standards. Our content management system sets us apart from our competitors. No other companies we know of can deploy a content management system in pair with our AAAmoveCars.com tools. When you chose AAAmoveCars.com, you chose a world-class Enterprise-Level Content Management Shipping System. Tomorrow, we will be here for you. We are not a flash-in-the-pan company. We have seen other companies come and go and we plan to still be here years from now. Our years of shipping history speak for itself. We offer standard, office-based support, available from 9AM to 5PM Monday to Friday and Saturday from 9AM to 3PM New York Time. With that said we are a no-nonsense team and will always respond promptly when you need us. With AAAmoveCars.com crew solution, you will not only receive a world class product, you also gained a partner who will do everything they can to ensure your listing is a success on hiring a direct carrier. We've been in the shipping business since 1990 and are well established in the community. Our business plan is designed to have us in business 100 years from now. Simply “create an account” or send us an email at: customersupport@aaamovecars.com to get your listing live and rolling today. We know you won't be disappointed.